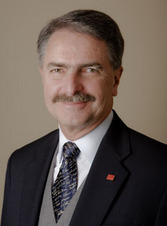 William Mohr is CEO of Mohr Financial, a real estate investment company in Oakland, California. Bill specializes in real estate group investments. His skills are in acquisition, disposition, arranging equity and debt, exchanging, design, construction, development, and management for mixed use, retail, industrial, senior housing and multi-family. Bill teaches a number of courses for CCIM, including CI 101 and CI 104, Negotiations and Commercial Real Estate Tools.